Do you know a pug who wants to be famous? 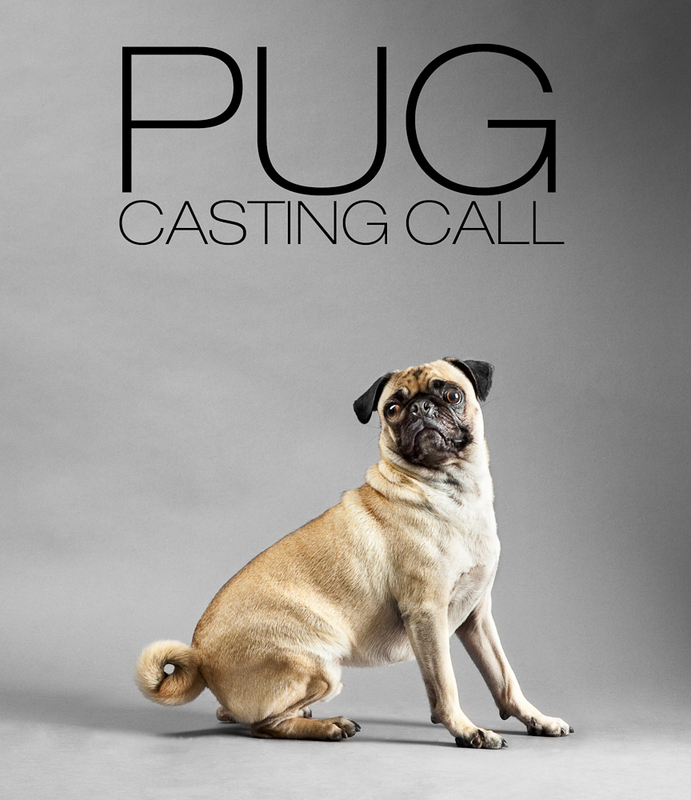 Jason KB Photo, Toronto’s premier animal photography studio, is looking for pugs to photograph for an upcoming film project by award winning Canadian filmmaker Stephen Dunn. The chosen pug might also get a chance to star in the film! Wow! Interested pugs must be well tempered and available the evening of Wednesday November 30th for a photoshoot in Jason KB Photo’s downtown studio. Trained pugs are preferred. As a thank you for taking part in the shoot, the chosen pug will receive a 16″ x 20″ print from Jason KB Photo (a $135 value!). Interested pugs should contact Stephen (stephen.dunn@ryerson.ca) directly and post photos to the Jason KB Photo facebook page.